2017 will be a huge year for us as you can imagine. Not only are we starting the year in a new location but we are also preparing for a new life. 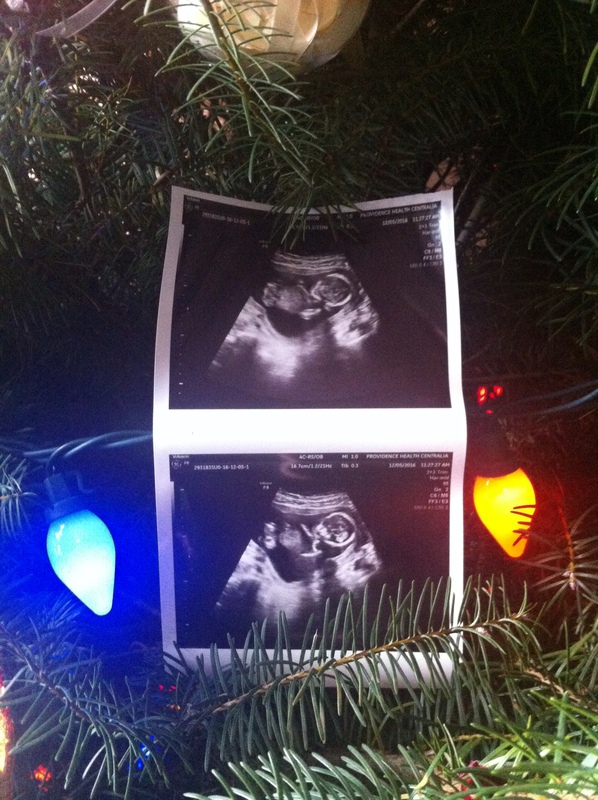 There are many challenging moments ahead as we prepare for our family to grow another member come May. Still there is so much to look forward to and I hope the same is true for all of you! For New Years we are headed to Luke’s family for a few days of celebration (and do our second round of Christmas). It is great to live close enough to family to do these weekend road trips; it still feels surreal to be so close to everyone. Hope you can enjoy this holiday with friends and family too! 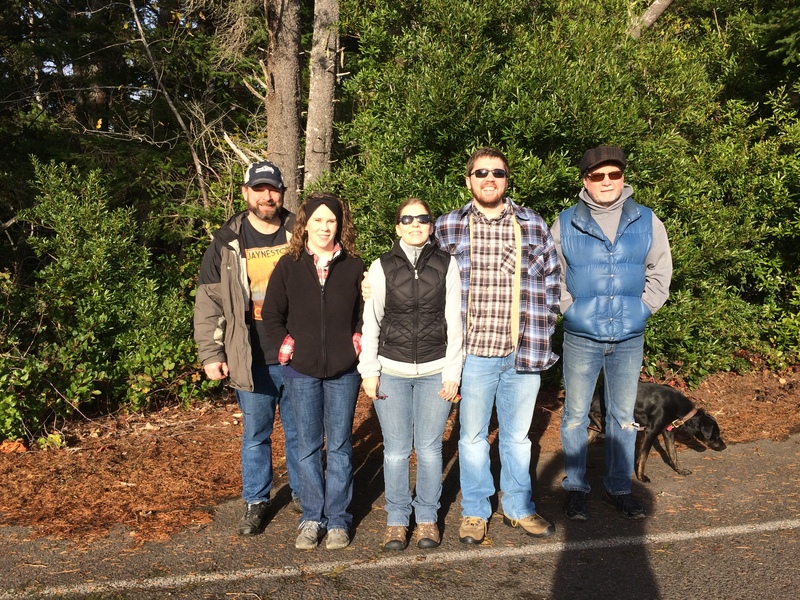 From our growing family to yours we wish you all a Happy New Year! 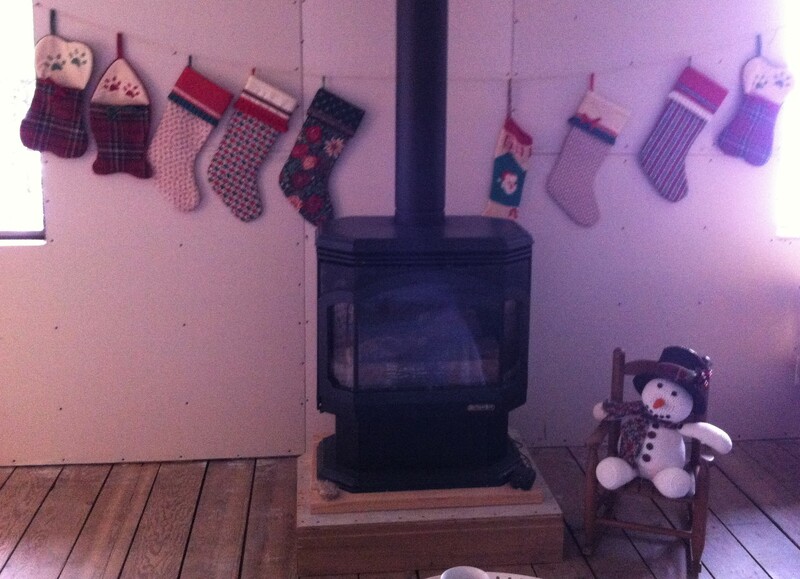 Luke and I had a wonderful time at my parent’s house for Christmas this year. It was nice to only have to travel a few hours in a car instead of a full day in a plane. 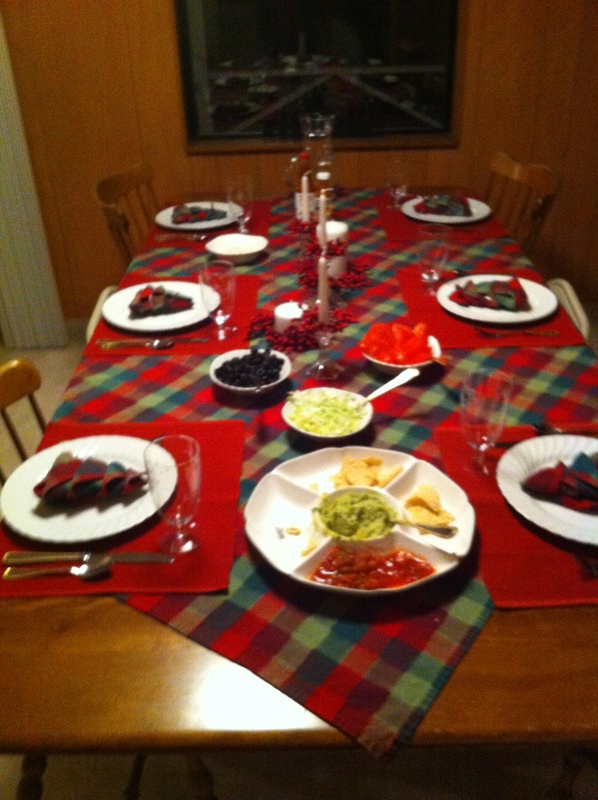 During our time together we did all the normal Christmas traditions of my side of the family. 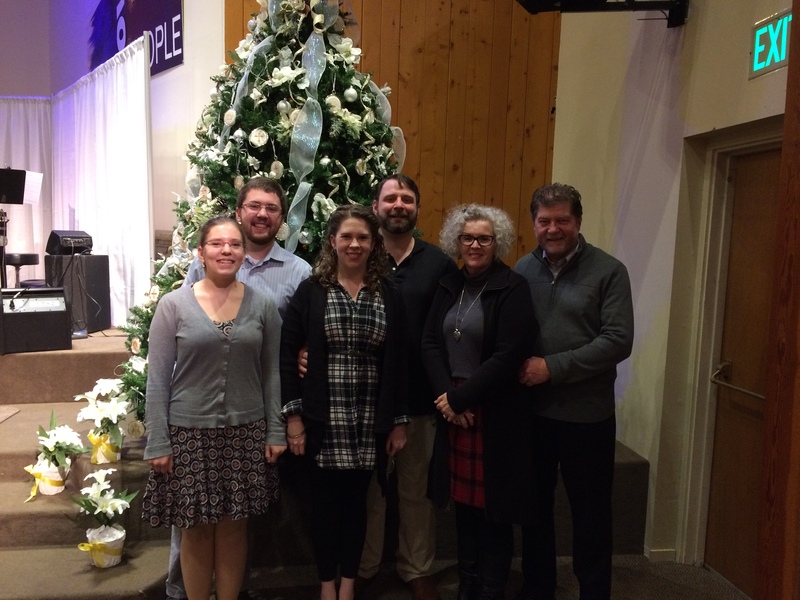 On Christmas eve we dressed up and went to a local church for a candle lit service full of hymn and carols singing. We came home and had enchiladas and tamales for dinner then enjoyed coffee and a collection of cookies and other sweets. On Christmas day we opened stockings, read the Christmas story, had our large specialty breakfast, and opened presents. Later in the day we had another larger meal of tri-tip, baked potatoes, and green beans. But beyond the typical holiday time we were able to enjoy the area and each others company. 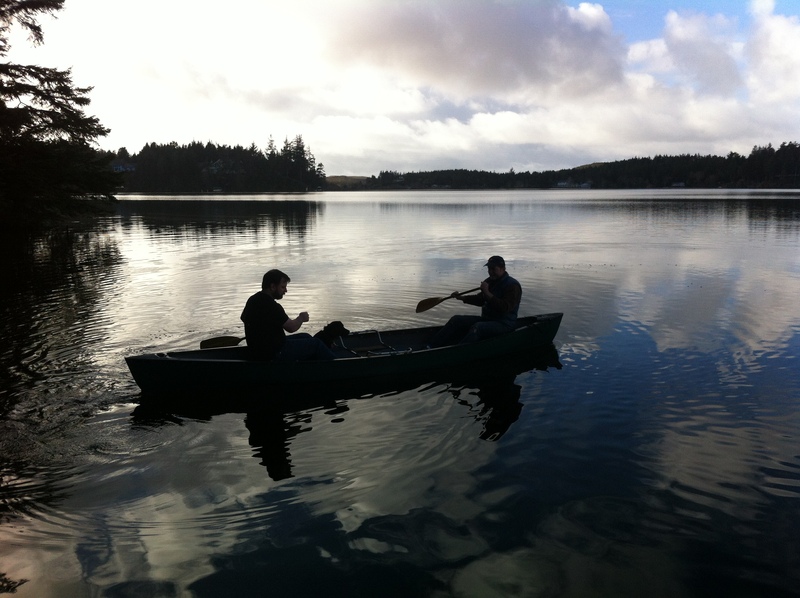 My parent’s home is on a lake and they own a large canoe that sits at their dock. 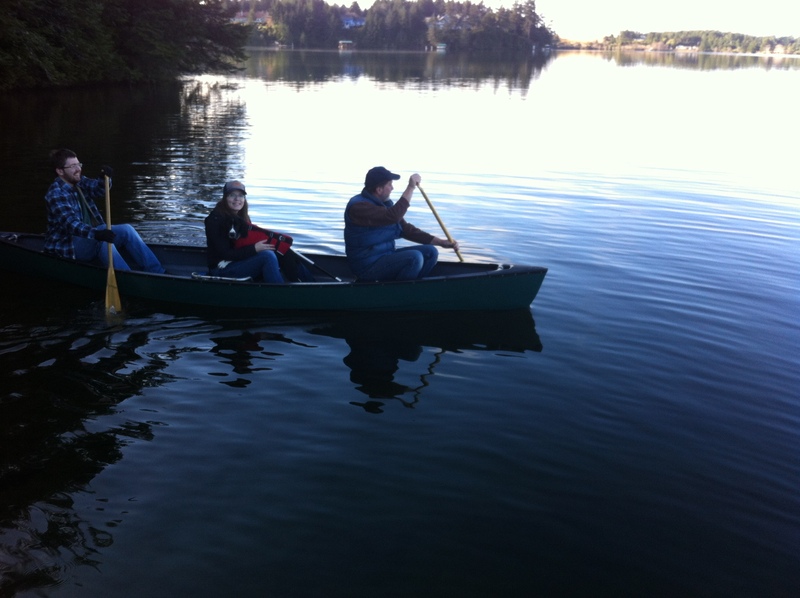 In spite of the colder weather, most of the family could not pass up a short boat ride of the calm lake. Both Kira, and my brother’s dog Pepper learned to enjoy the boat ride, though it took awhile for them to adjust to being on the water and not in it. 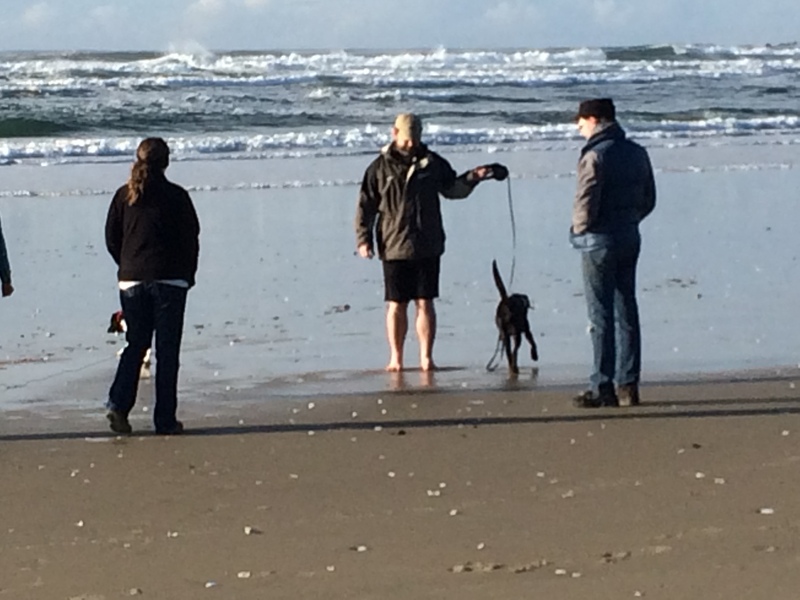 Another day we went to the coast less than a half hour from my parents house where there is a dog friendly beach. 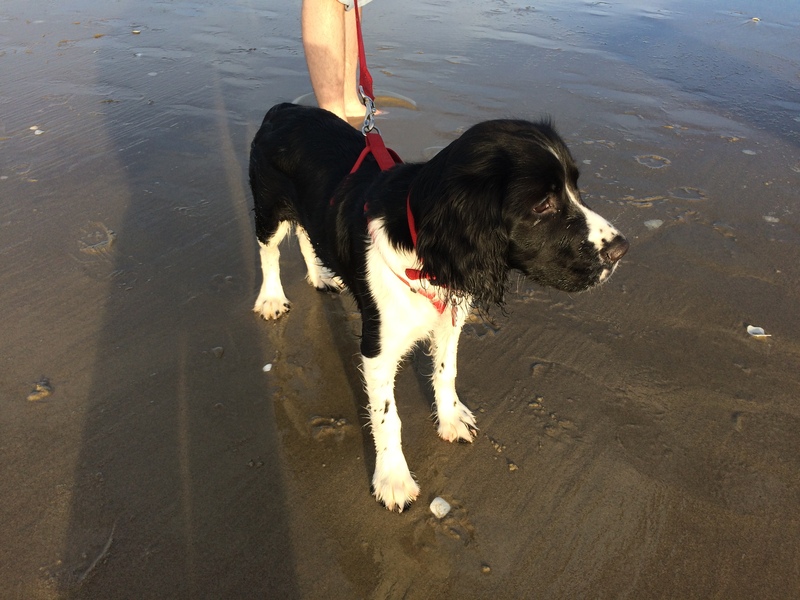 This was Kira’s first time to see the ocean and waves. 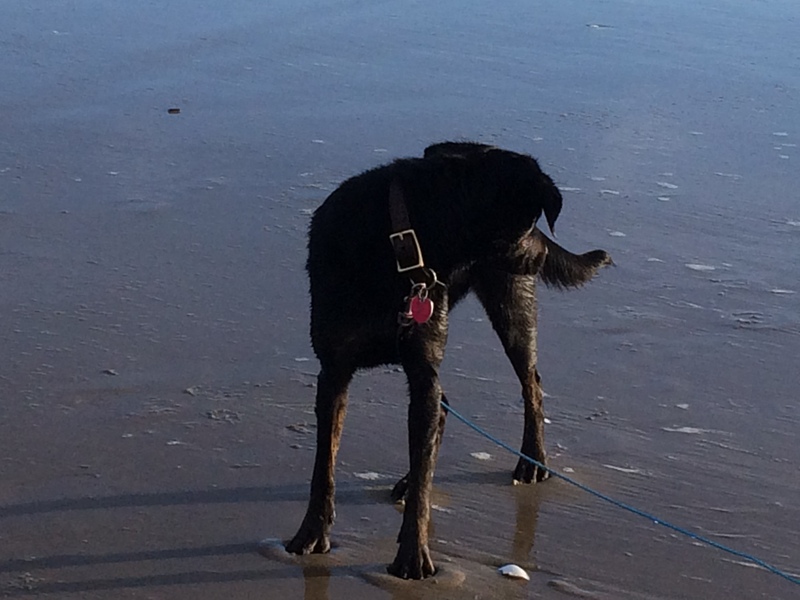 She learned quickly that the water tasted funny, enjoyed the sand, and was very polite when greeting other dogs. She also enjoyed jumping over the waves as they came in to the shore. The only thing we had to watch was that she desperately wanted to take off after the seagulls. On our last day together went on a early afternoon walk at a local state park that follows along a lake. The trail was musty, wet, and full of green ferns. 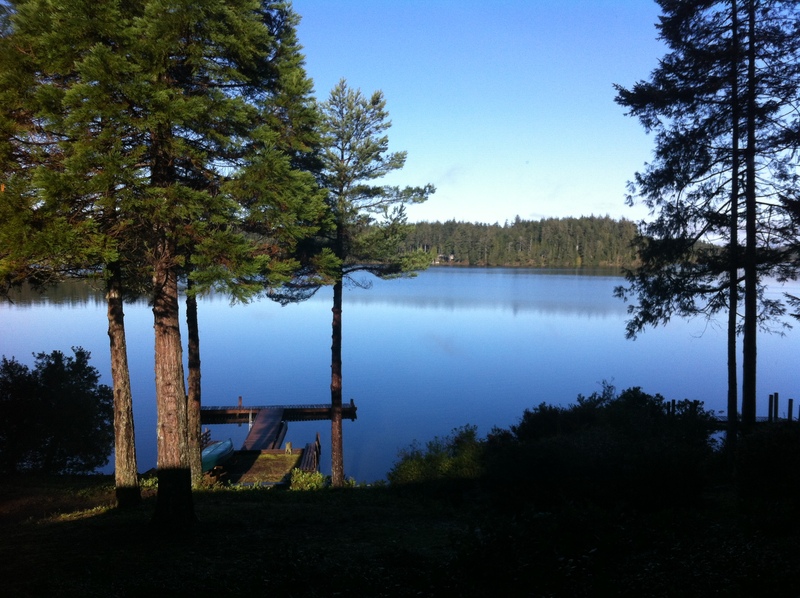 There was moss hanging from many on the trees and the lake was calm and still. It felt surreal to be back in the Northwest enjoying these views, knowing we live only hours away from such outdoor beauty. My parents do not have a TV or internet at this house so in the evenings we shared stories, played games, and watched old family videos and slides. 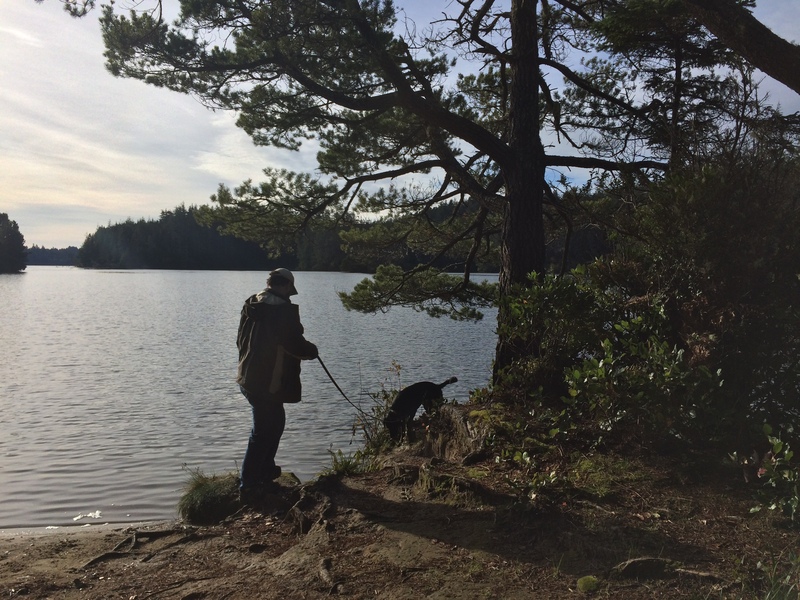 We often would sit with our coffee and cookies and watch the dogs play. 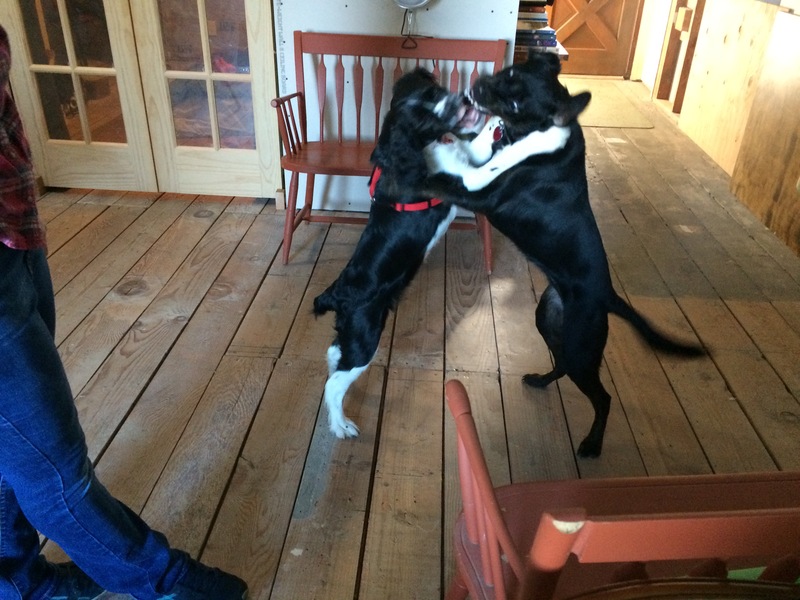 In fact the two of them became fast friends over the weekend together, playing constantly. Overall it was a great relaxing holiday visit. How was your Christmas? 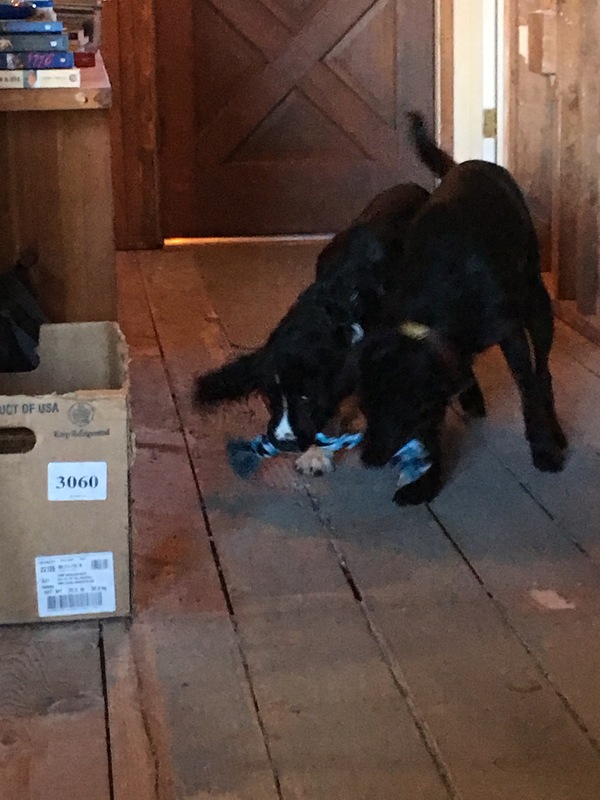 This year Luke and I are at my parent’s place in Oregon for Christmas. 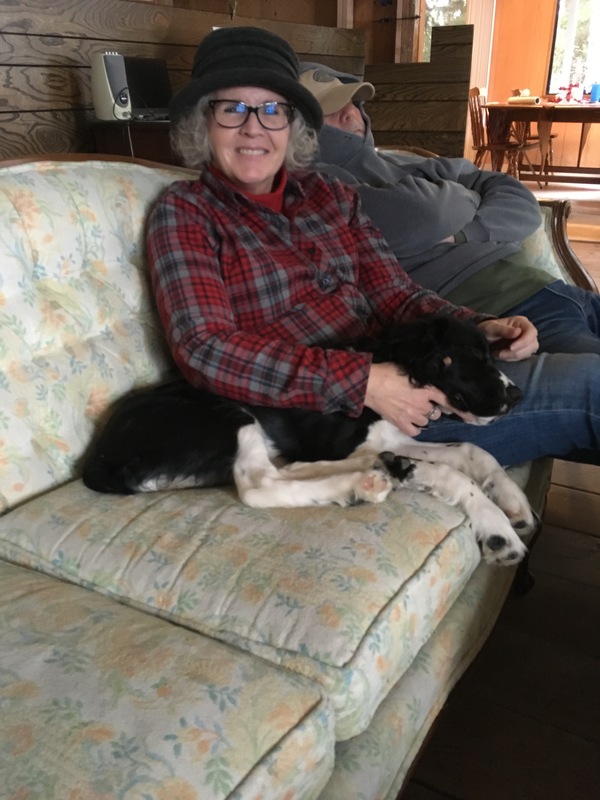 We are sharing the holiday with my parents, my brother and his wife, Kira and my brother’s puppy Pepper. It has been two years since we have been all together for Christmas so it will be great to get some quality time together. Some of which I will share with all of you after the holidays. In the meantime Wishing you all a very Merry Christmas! 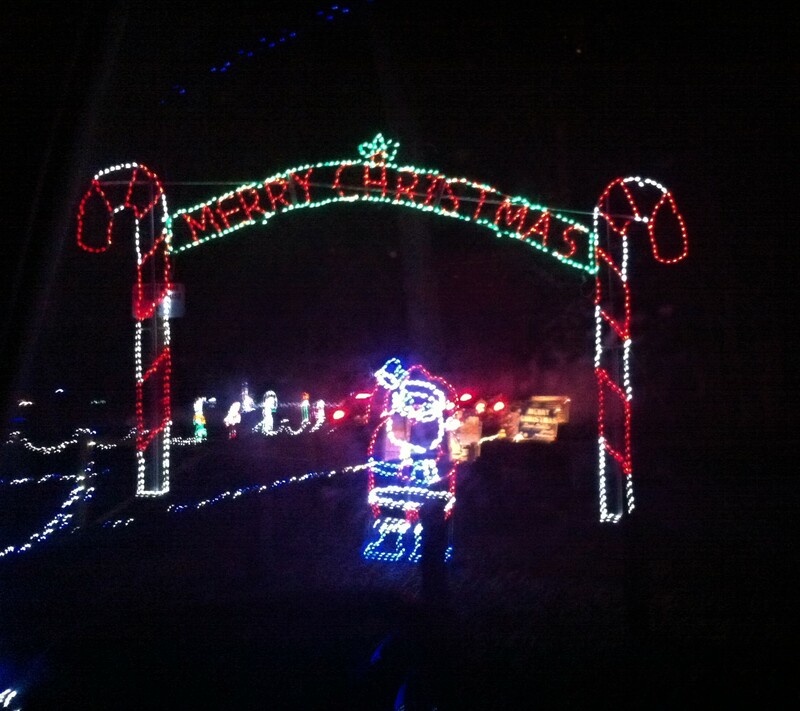 This past weekend Luke and I decided to check out another local Christmas event: the light display at Borst Park. Borst Park is close to the freeway and downtown; not far from Luke’s work. 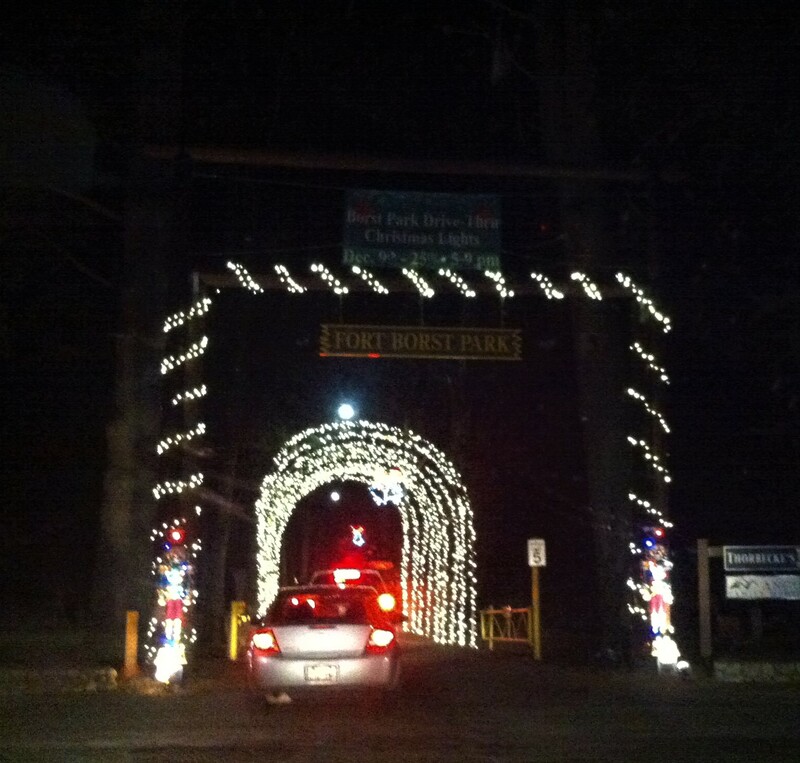 During most of December (9th-25th) the park hosts a light display open from 6-9pm for people to drive through. FYI I am not the best iphone photo taker especially when it’s at night and we are moving so please excuse my unfocused pictures, I hope they still provide a glimpse of what we experienced. We arrived at the park right as the after-dinner line started outside of the park entrance. 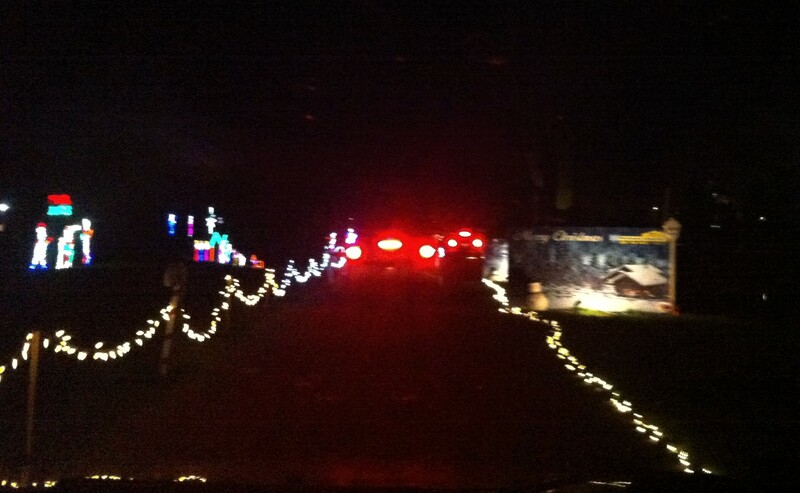 It took awhile to get to the main gate but the path was well lit and cheery. The entrance fee was only $3 per vehicle. Or it could cost less if you made a toy or canned food donation, which later are given to charities in the area. When we paid for our entrance we were given a pamphlet sharing thank yous to the local organization who donated to make the display possible. It also listed which non-profit organization in the area was hosting each evening’s display, who in turn receive parts of the proceeds for that evening. Passing the entrance booth a sign showed the name of a local AM radio station playing classic Christmas music. We tuned in and waited in line until there was a good distance between us and the car in front of us. Along the right side of the loop were well lite holiday greeting billboards sponsored by different donors from the local area including business, organizations, and churches. 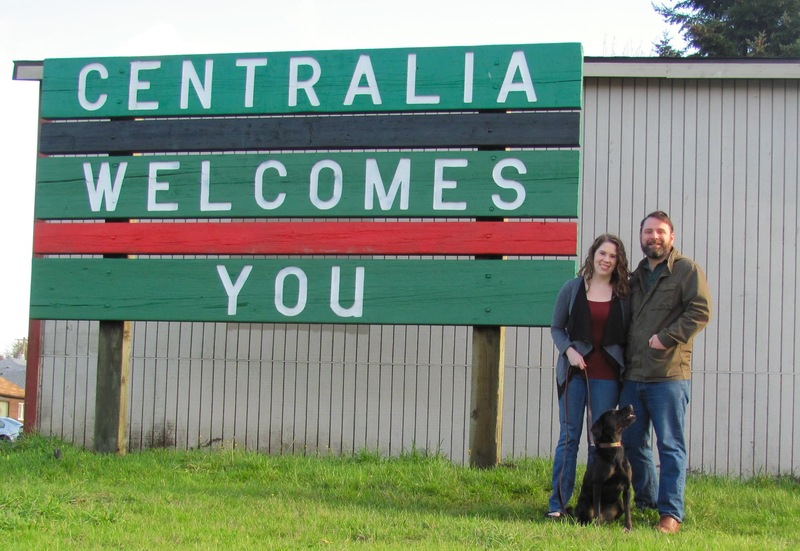 Since we are new to the area we found this helpful. 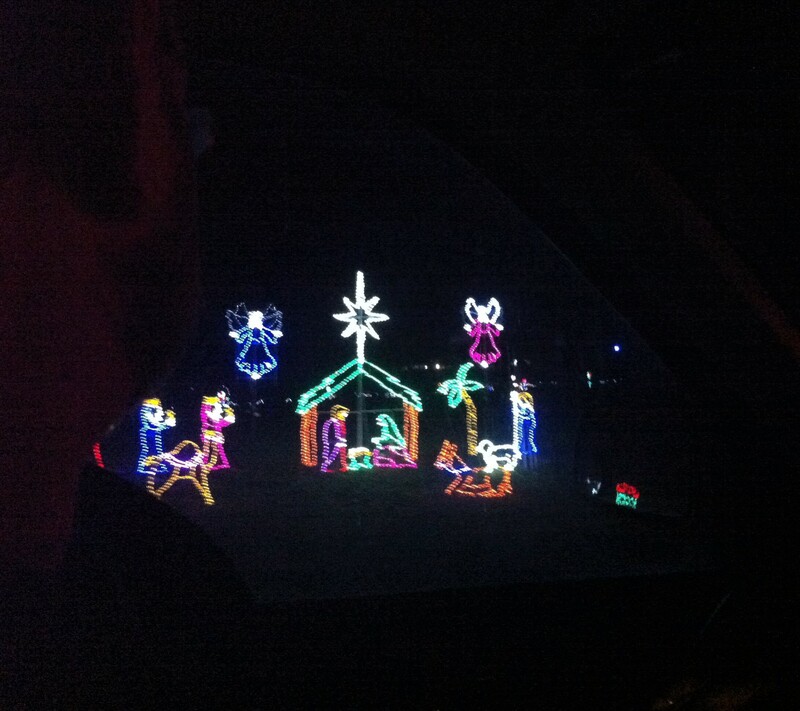 On the inside of the loop were several animated LED light displays. There was something to see for everyone including: scenes of penguins playing at the north pole, Santa rocking out with Rudolph on the guitar, (or peeling away in a hot rod), a train filled with toys, carolers singing outside of a church, and a nativity scene. This little trip gave Kira a chance to cuddle into a nice warm car with us. I really do think she enjoyed the lights, she stared intently out the window for the whole loop switching occasionally to different side of the car so she could look out both windows. I grew up near Los Angeles and went several years to huge light displays at Griffith park near the observatory. The LA display is a major time commitment and requires hours of sitting on the freeway exit to even get to the display. 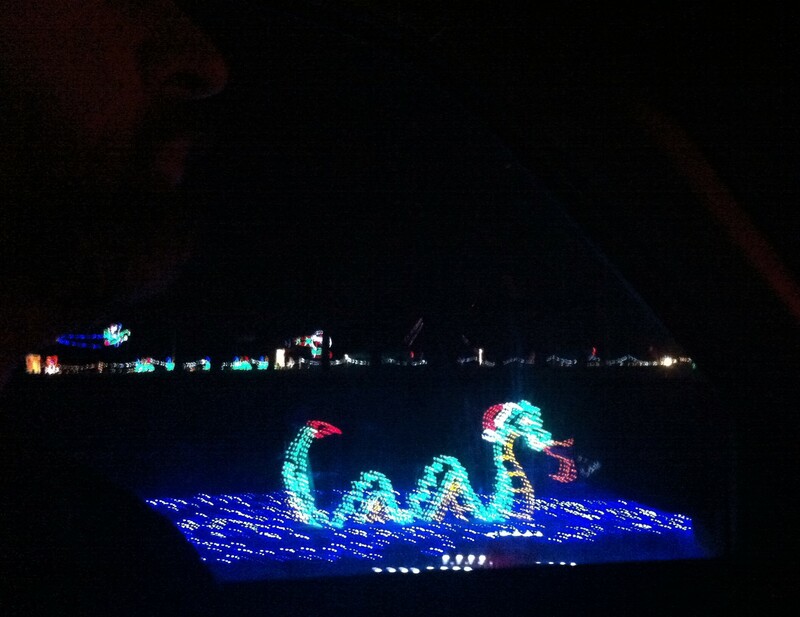 In fact it has recently been replaced by a light display at the zoo probably for that very reason. This instead was a nice less-than-an-hour Christmas outing which supports local events and non profit organizations, that is a great Christmas win-win in my mind. As I make cookies, send out Christmas cards, and organize gifts, I find myself frequently listening to one Christmas song. Although it is obscure, it is uniquely appropriate for Christmas this year. So I thought I’d share it with all of you. If you listened closely you heard some big news! Our family is growing! Baby Greene will be here May 2017! Now that we are on the west coast we are blessed to be able to share Christmas and New Years with both of our families. With this privilege comes a challenge: if all days off work are spent with our families what about Christmas time for us? Luke and I talked about this and came to a decision: our core family time will be earlier in the month, cutting down and decorating a Christmas tree. 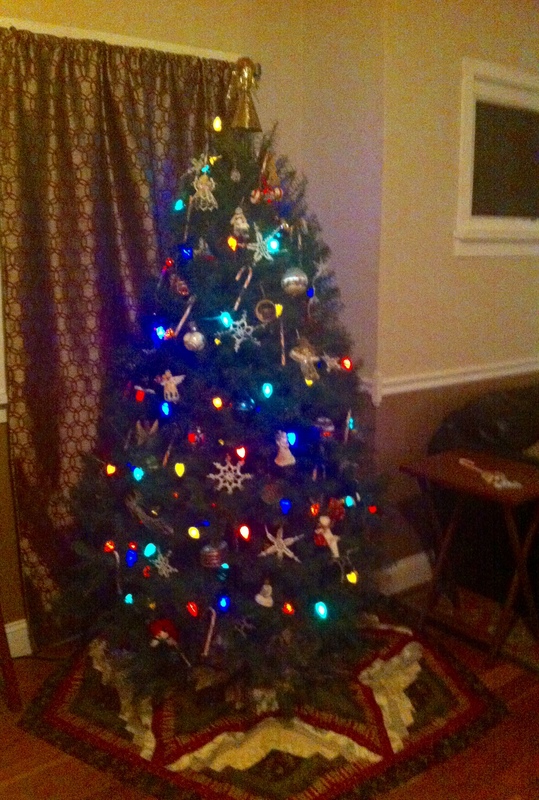 I grew up where picking out the Christmas tree was something we did as a nuclear family. 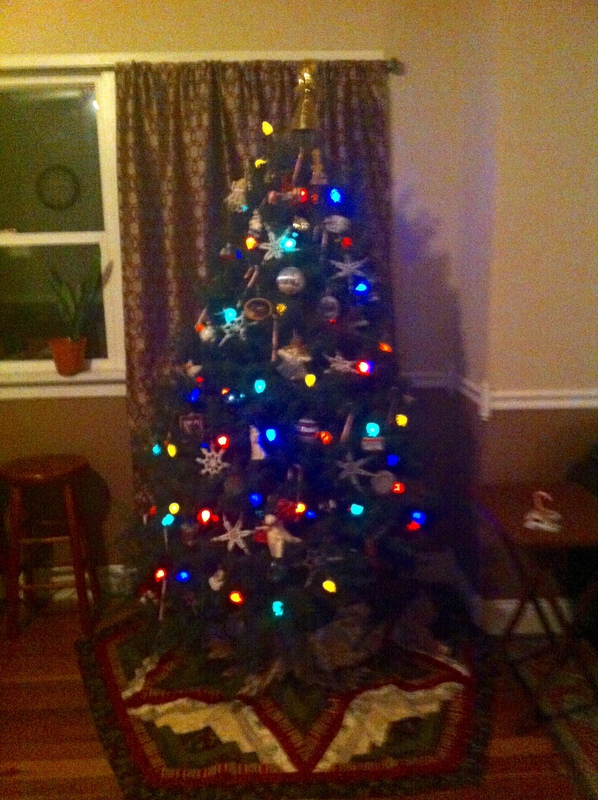 We would come straight home, put Christmas music on, and decorate the tree. Luke has similar experiences, although different tree retrieving adventures. 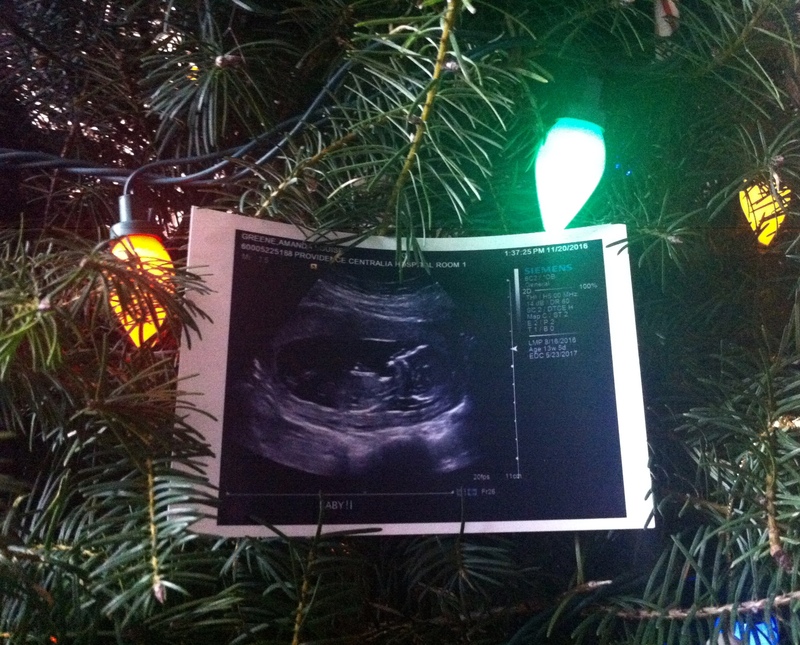 For more on this see:Oh Christmas Tree . 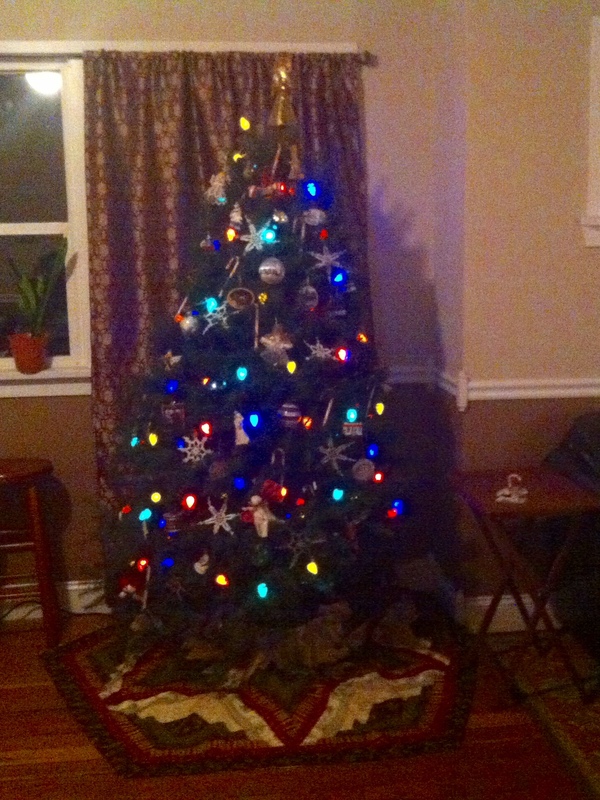 . .
Our tree indicates our history: a mixture of how his tree growing up looked and how mine did. It includes ornaments from our childhood, ones that family bought for us in the past few years; in this way decorating our Christmas tree is a great way for us to reflect on the past. But there are many new ornaments as well; some we have picked up on our adventures and vacations together which helps us look forward to the year ahead. 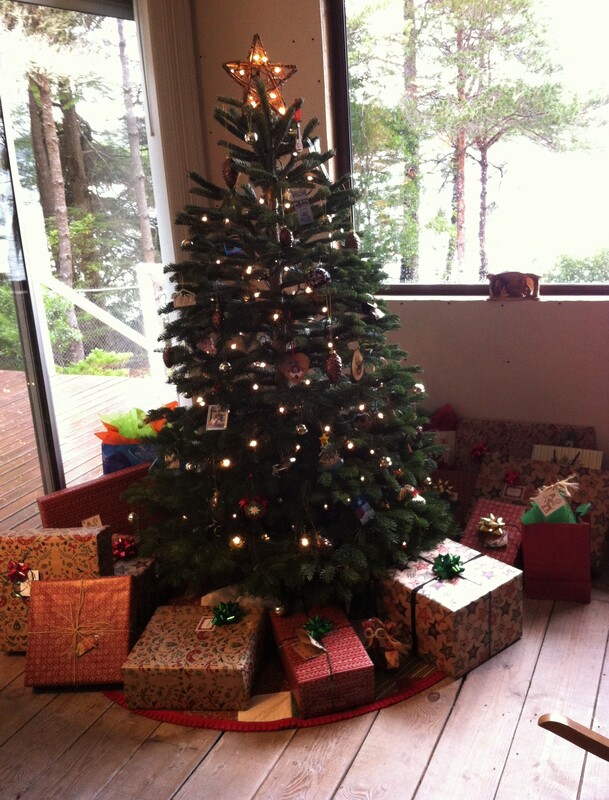 What traditions or Christmas moments have you reserved for your core family over the years? 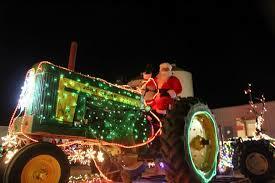 This past weekend we decided it was time to check out our first local seasonal event: The Christmas Tractor Parade. This parade I have been told is the biggest of the year and at least a thousand people bundled in their warm clothes line up along the parade route. The main route goes through old downtown Centralia. Fortunately we live only blocks from there. So Luke and I put on our warmer clothes and walked downtown. There we met some family friends, some of their kids, and nephews and found our spot along the brick street. 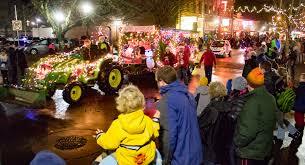 You may wonder: what makes a Christmas parade a tractor parade? Well most of the lighted floats were either pulled by tractors, pulling tractors, carrying tractors, or had tractor themed decorations on them. We saw a motorcycle dressed up in cardboard to look like a tractor, several holiday blow up santa-riding tractors, the parade queen sat on the bucket of a tractor, and we saw a lumber tractor on a semi truck bed decorated with full limbs of fallen timber. 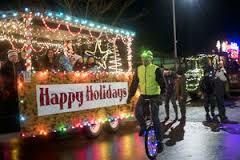 We were told the entry fee is minimal so on average there are 80 or more float entries! Floats are judged for different categories before the parade begins at 6pm. 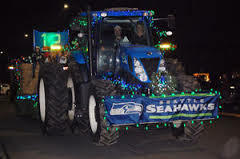 Each tractor or float was creatively decorated and lit; advertising their organization, church, farmers market, or store. Many had music, bubbles, or snow machines. What was most suprising to me was how interactive the parade was. Young people dressed as angels, elves, snowmen, reindeer and more walked alongside each float with buckets. When they saw children, they would pass out candy, toys, stickers, coupons and information about their organization. The family we came with were prepared with plastic grocery bags. The kids were given so many goodies they could fill up their stockings! Eventually we were given a bag too as the parents tried to get rid of some of the sugar heading home with them. When we got home we opened our bag to find some really amazing treats (not only candy canes and dum dum lollipops). Other than floats the local high school band played, motorcycle groups wove up and down the street passing out candy, and a local equestrian team came through with very disciplined horses who were unfazed by the semi truck horns, tractor engines, or the lights they were decorated in. Overall it was a lively and inviting Christmas parade. It was well attended too in-spite of the rain and cool temperatures. Let’s just say it was a great first local outing and we will probably go again another year.